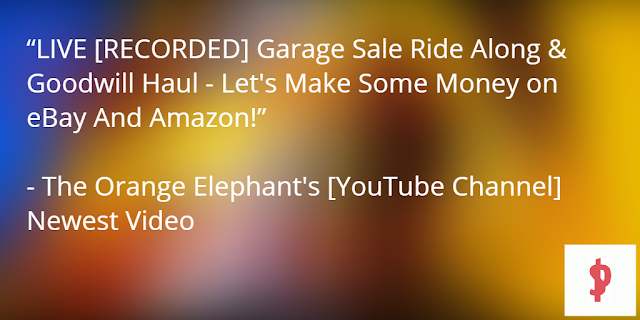 LIVE [RECORDED] Garage Sale Ride Along & Goodwill Haul - Let's Make Some Money on eBay And Amazon! Learn the tricks of the trade as we ride along with Brock from The Orange Elephant YouTube Channel as he ventures out into the wild to score his next and latest retro video game finds at local Garage Sales and Goodwill Stores! "Brock scores AWESOME retro video game lots! :)"